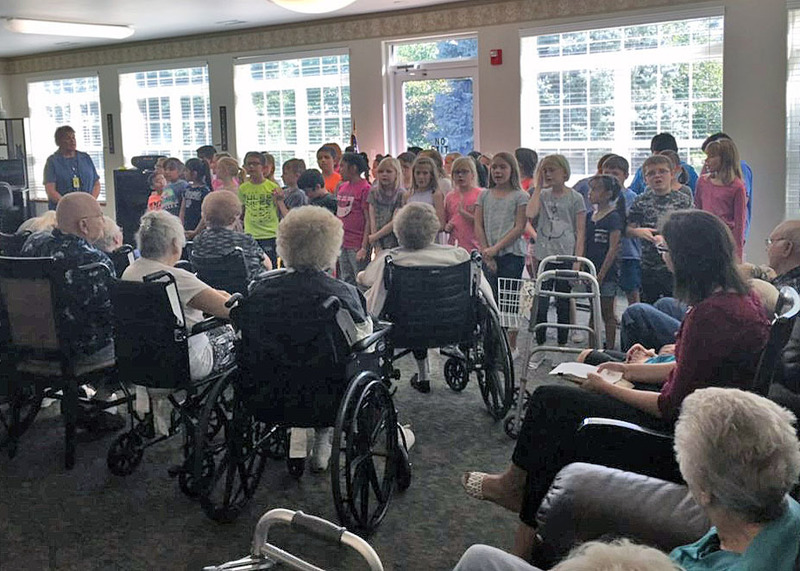 The third grade classes took part in a project called Shared Generations on Wednesday, September 12th. This project was the idea of HHS Graduate Sarah Heermann who graduated in 2011. 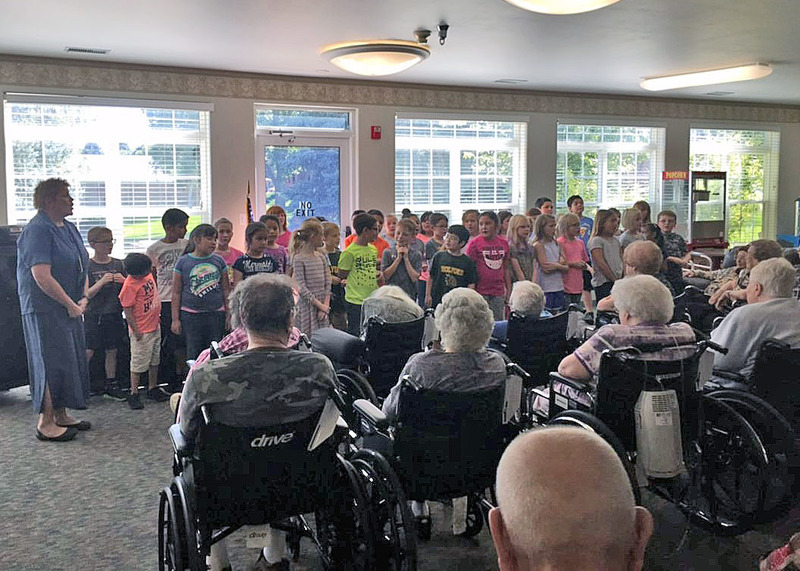 The students walked to the Carriage House and shared some of their favorite songs with the residents. A few students also shared their talents on the piano that day. When the children were done singing they broke up. into small groups and visited with the residents asking them questions about their favorite type of dance, music, and a favorite concert they had attended. They also visited about instruments that the residents had played. It was a wonderful experience for our students and we hope to do it again.